I posted in the OLD forums in the game section and I will probably get hit with a mod stick in a few minutes! Who do you blame when you do something naughty? I always get the blame! I wonder if they even notice. So Yeah...Once again I've received a warning for voicing my opinion in the new Discussion Board. Apparently I cant have an opinion or a voice in there anymore. So, I wont be using their piece of trash anymore. Thanks for this Forum KEEF! 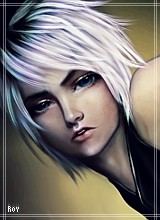 Is it just me or, does everyone feel like they are skating on thin ice in IMVU's discussion "forum" yet, here on PPC feel perfectly comfortable expressing your true opinion, good or bad? I feel so much more comfortable here! I've always felt that way but I am very antagonistic . . well . . . I don't mean to be antagonizing to users , just un-intentionally I come off that way , sometimes . To IMVU staff I kinda go out of my way to be antagonizing yet funny to get their attentions . Anyways I've always felt to be skating on thin ice with IMVU wether that be the old forum or new . Can't tell you how many times I edited my posts after reading because I feared for my IMVU life , that speaks volumes of those who alike myself are mad cuz theyz gotz noz editz buttonz nowz . As well it's attitude to shut users up when the rule of any good business is the customer is always right . I mean users/customers will get angry and perhaps in that anger not phrase things properly but hey that's the internets for ya . 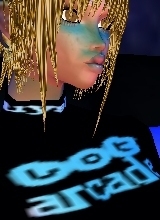 So its like - hey IMVU staff , welcome to the 90's . I largely feel like they want to tuck away our opinions and pretend like they do not exist. I generally blame my kids....hey isn't that what they are there for? Well that's exactly why they created "Discussions".